Like other forms of illegal trade, wildlife trafficking is a serious transnational organised crime generating billions of dollars annually – funds that are placed in the hands of criminals with ease. The dark side of conservation falls within the work of law enforcement. Many conservationists have been killed championing wildlife security in the last year in their activist role. Hundreds of first responders and park rangers have died in the line of duty working to preserve threatened species populations, protect national borders, and safeguard communities. No matter how one paints the landscape on the issue of wildlife trafficking, it is bleak. There are few success stories that the international community can point to as a united, global achievement. Poaching levels have only slightly decreased for rhinos in South Africa, elephants in Kenya, and tigers in range states in South Asia. Globally, there have been massive seizures of illegal wildlife products, including pangolins, elephant ivory, and rhino horn. While this may be attributed to increased enforcement activity or possibly (and probably) more poaching, seizure data can only be analysed with limited verifiability. With a low risk of detection and high reward potential coupled with the expansion of internet access, connecting the world like never before, criminals continue to engage, and thrive in this illicit activity. A professional, intelligence led-policing approach to combating wildlife crime is needed in order to get ahead of the size and scale of poaching and the wildlife trafficking problem. A holistic approach that engages all stakeholders, develops innovative solutions, and integrates lessons learned from other traditional crime-sets will encourage a robust law enforcement response to combat wildlife trafficking. The internet boom over the last decade has served as a borderless platform to facilitate trade for legitimate and illegitimate enterprises alike across the globe. Due to the anonymity of many Internet websites, chatrooms, and online seller marketplaces, this further perpetuates online criminal activity. 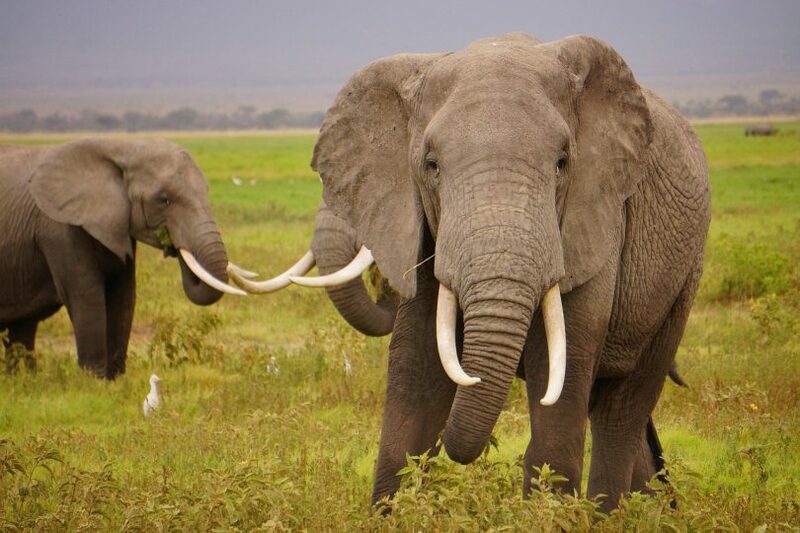 In their comprehensive report from 2008, “Killing with Keystrokes” IFAW found that the U.S. is a major demand market for illegal wildlife, elephant ivory is a major product traded of the illicit wildlife products, and it is nearly impossible to distinguish between illegal and legal trade in products such as ivory. In 2013, INTERPOL conducted Project WEB, which provided operational support to member countries investigating the ivory trade over the internet within the European Union which concluded there was a definite need for improving quantity and quality of data. In June 2017, the INTERPOL Global Complex of Innovation with support from IFAW, released “Illegal Wildlife Trade on the Darknet” report. It identified the Darknet (versus the Clearnet) as one avenue of many online platforms that can facilitate illegal wildlife crime, but there was still a very limited amount of illicit wildlife trade when compared to other products such as drugs, counterfeits, and firearms. Many organisations, including IFAW, TRAFFIC, INTERPOL and CITES have been working to conduct research, identify trends, and develop tools for law enforcement investigating wildlife cybercrime. In 2016, parties at the CITES COP-17 in South Africa adopted several Decisions on combating wildlife cybercrime for Parties to submit information and best practices in this area. At the CITES Standing Committee held in 2017 in Geneva, a working group was developed to have a coordinated approach to tackling this issue. Despite the increase in political will, action plans, and declarations globally to combat wildlife trafficking, enforcement still faces limited resources. The issue of wildlife crime is not prioritised among other serious organised crimes, and legislation could be strengthened and harmonised to address cyber enabled wildlife crime in a much more comprehensive way. Even in countries where legislation has been put in place to detect, deter, and investigate cyber enabled wildlife crime, enforcement is weak and such techniques are rarely applied to wildlife criminal cases. INTERPOL will be developing enforcement guidelines to assist law enforcement investigators to overcome these challenges. With access to 192 member countries, INTERPOL plays a valuable role in strengthening international law enforcement cooperation to ensure a safer world. About the Author: Jessica Graham works for INTERPOL’s Environmental Security Programme as a Strategic Policy Advisor. She is an expert on international policy and nontraditional security threats, including organised crime and wildlife trafficking. Jessica is a former Senior Advisor at the U.S. Department of State where she created the environmental crime program for the Bureau of International Narcotics and Law Enforcement Affairs. With nearly 10 years of dedicated experience working on environmental and security issues, Jessica has worked across the public, private, and non-profit sectors. She is currently based in Lyon, France. Jessica’s latest publication that she is co-authoring: “Using Script Analysis to Understand the Financial Crimes Involved in Wildlife Trafficking” submitted to Crime, Law and Social Change, January 2018.